Today, Speed the Light is one of the most effective youth missions ministries in the world. Assemblies of God students have accepted a great responsibility to voluntarily sacrifice and raise funds to purchase the equipment. STL operates with one guiding principle: All assistance must go to purchase equipment directly related to evangelism. STL equipment has not been nor is presently given for promotion, solicitation, or normal administrative functions. What are Speed the Light Summits? STL Summits - Every year a variety of churches around Southern California take part in youth rallies that involve multiple youth groups that come together to raise and pledge funds towards our overseas and home missionaries. We love and appreciate our missionaries and all they do in reaching those in need of Christ here in the United States and beyond! Check out the STL Summit calendar and see when a rally will be happening in your area that you can be part of. These youth rallies offer a great way to connect with fellow youth groups in your geographic area and learn about the missionary your section is lending aid to. We would love for you to participate in serving our missionaries as they carry the gospel. 100% of all donations fund our missionaries. NO percentages are taken off in order for all our missionaries to receive full funds. In addition, if you would like to donate, we would prefer that you do not utilize a credit card since percentages are removed with each transaction and we want our missionaries to receive complete funds. Today, Speed the Light is one of the most effective youth missions ministries in the world. Assemblies of God students have accepted a great responsibility to voluntarily sacrifice and raise funds to purchase the equipment. STL operates with one guiding principle: All assistance must go to purchase equipment directly related to evangelism. 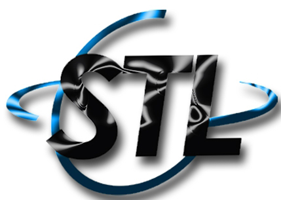 STL equipment has not been nor is presently given for promotion, solicitation, or normal administrative functions. Please partner with us in helping our missionaries.